« Buy an Adult General Admission ticket to Metro Pro Wrestling for March 5th, you can receive a free children’s ticket!! Ron Powers goes berserk !!! 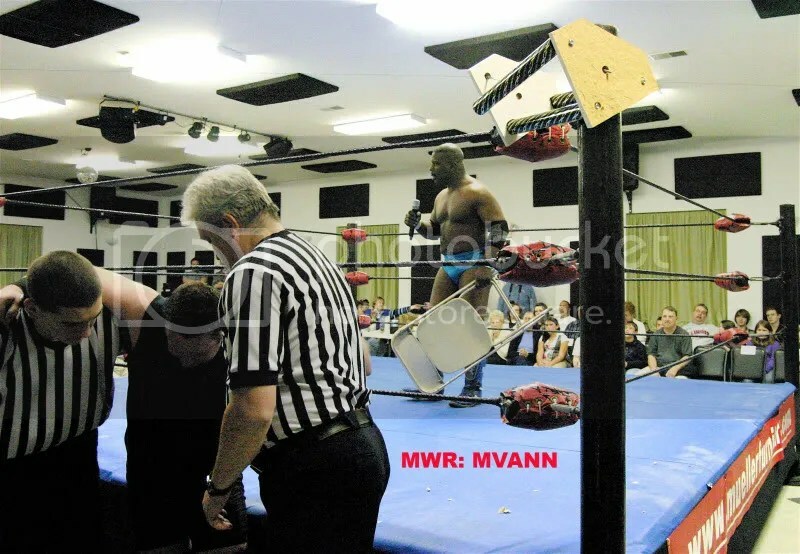 Shocking developments at MMWA-SICW in East Carondelet this past Saturday. 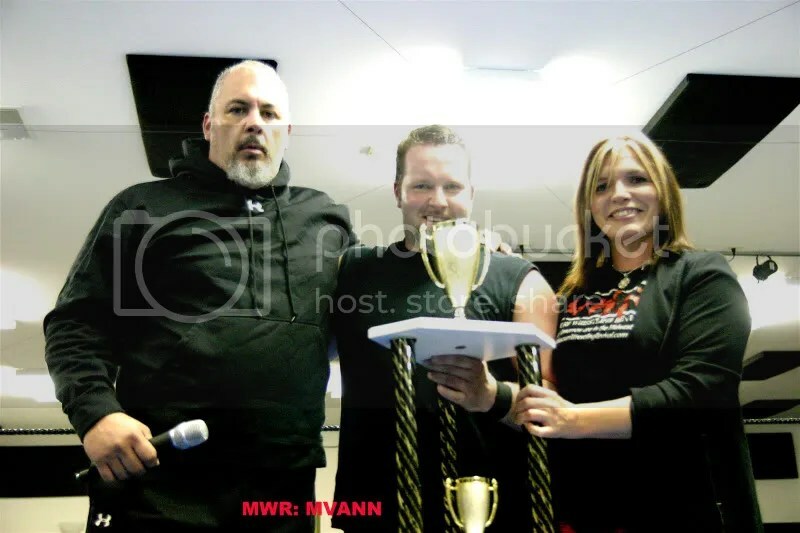 Missouri Wrestling Revival were all set to present the trophy awarded to the Classic Wrestling Champion Danny Boy Hawkins for becoming the first CWC Champion this past January in the one night tournament. 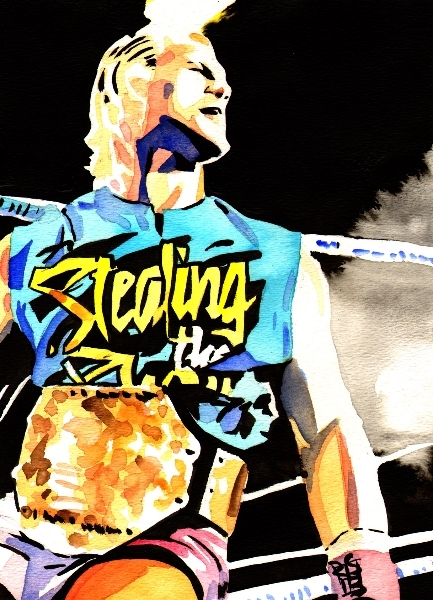 The fan favorite Danny Boy had just had a great win in a war with “The Worlds Fittest Wrestler” Mark Sterling. 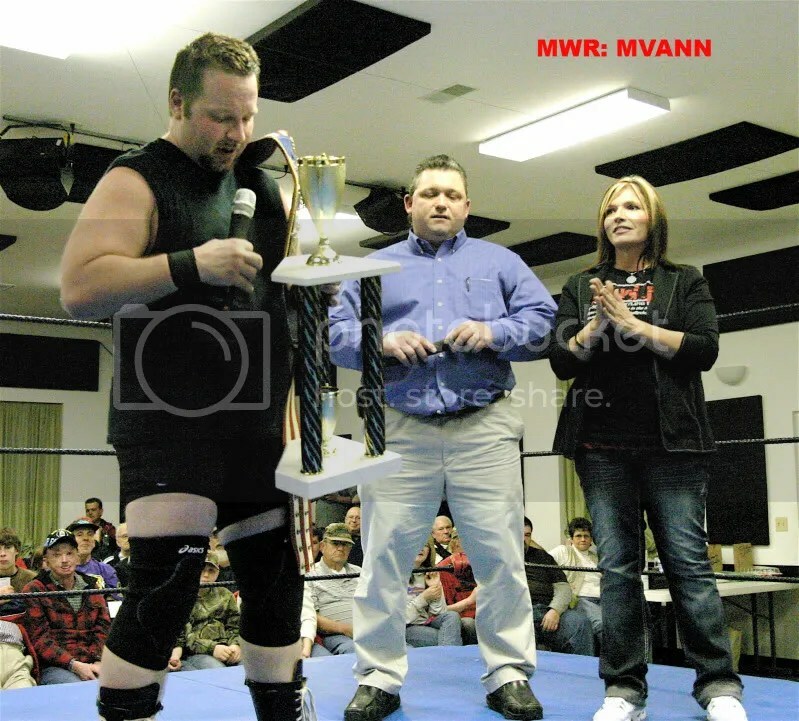 Afterwards MMWA-SICW Commissioner Keith Smith and MWR’S Dubray Tallman surprised Danny Boy with the trophy in the middle of the ring. The champ took time to thanks his fans and family for their support and wanted to give a special thanks to his very best friend Ron Powers. Powers is one of the most feared men in St Louis, had defeated MMWA-SICW Heavyweight and TV Champ Gary Jackson by count out earlier in the night came into the ring to give his friend a hug and congratulations. Dubray was on her way out of the ring to let the two friends cherish the moment when promoter Herb Simmons asked Dubray to come back for MWR photographer Mike Van Hoogstraat to take a photo for the media. Mike shot the photo…..then it happened Ron Powers delivered a clothesline from hell on his good friend, while Dubray ran for cover. 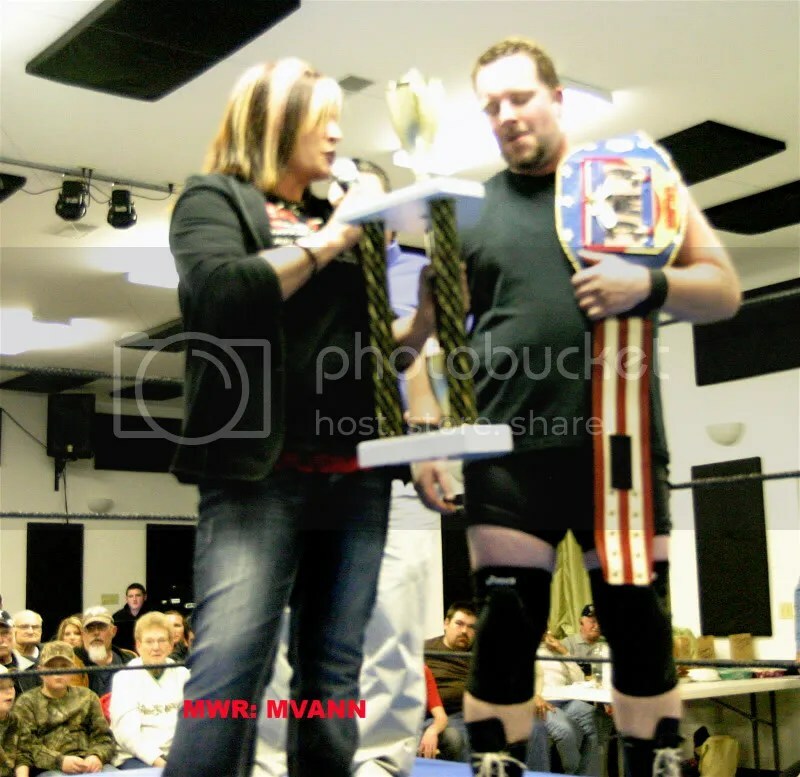 Powers then went on a rampage destroying the trophy and continuing the beat down on Danny Boy while the crowd was stunned. Thankfully Gary Jackson came in the ring on Danny Boys behalf but not before the damage was done. It was clear that Ron Powers had sent the message to the whole locker room, he was not to be trusted and everyone should watch their backs. What will the following months at MMWA-SICW bring as Danny Boy, Ron Powers and Gary Jackson all have unsettled business to be taken care of. Thanks to Mike Van Hoogstraat for sharing with you photos of this historic moments in St Louis Wrestling. This entry was posted on February 24, 2011 at 2:45 am	and is filed under Uncategorized. 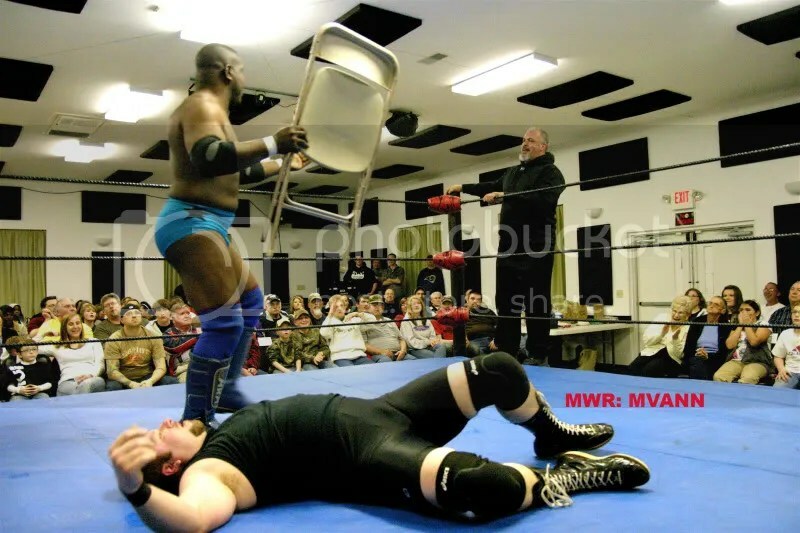 Tagged: CWC, Danny Boy Hawkins, Gary Jackson, Herb Simmons, Keith Smith, mark sterling, MMWA-SICW, MWR, Ron Powers. You can follow any responses to this entry through the RSS 2.0 feed. You can leave a response, or trackback from your own site. Brian,thanks for attending the show and the presentation of the trophy to Danny Boy. I must apologize for the action of Ron powers. He left the building before I could determine what the (blank)he was thinking. I was pleased to see Dubray was smart enough to stay calm and get out of the way of Powers. I’am sure the fans haven’t heard the last of Powers Danny Boy and Jackson. Hopefully March.26 our next show we get some answers.